The Earth’s interior is still a mystery to us. One of the most outstanding problems in Earth Sciences is the existence of the Indian Ocean geoid low. It is the lowest geoid/gravity anomaly on Earth and so far no consensus existed regarding its source. 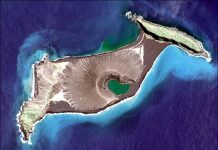 The Indian Ocean Geoid Low (IOGL) is a mysterious point of low gravity found just south of the Indian peninsula. The geoid low spans a vast extent south of the Indian subcontinent, and is dominated by a significant low of minus 106 metres, or roughly 348 feet, south of Sri Lanka as shown in the picture below. A new study explores the reason behind the mass deficit that is causing the geoid low. Results show that lighter material (low density anomalies) in the upper to mid mantle below the IOGL seem to be responsible for the existence of the gravity low in this region. But what causes these low density anomalies? 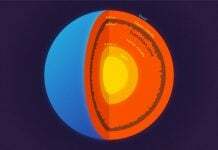 Mantle plumes, upwellings of abnormally hot rock within the Earth’s mantle, are generally thought to be the reason behind such anomalies. But in this case, no known mantle plume exists in this part of the world. 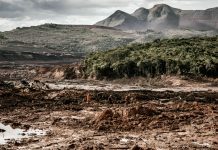 Investigating other parts of the world, they discovered that hot material arising from the African large low-shear-velocity province (LLSVP) or the African superplume, was getting deflected eastward and terminating at the base of the low density region beneath the Indian Ocean low. The deflection is possibly due to the fast motion of the Indian plate. They thus conclude that this low was the result of hotter, lighter material stretching from a depth of 300 km, or 186 miles, up to ~900 km, or 559 miles, in the northern Indian Ocean, most likely stemming from the African superplume. 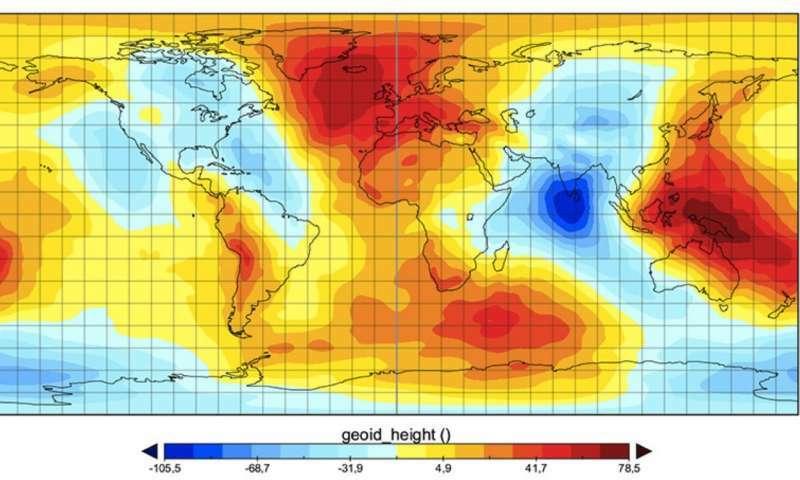 A new breakthrough in explaining the occurrence of the mysterious Indian Ocean Geoid Low. The missing mass — what is causing a geoid low in the Indian Ocean?